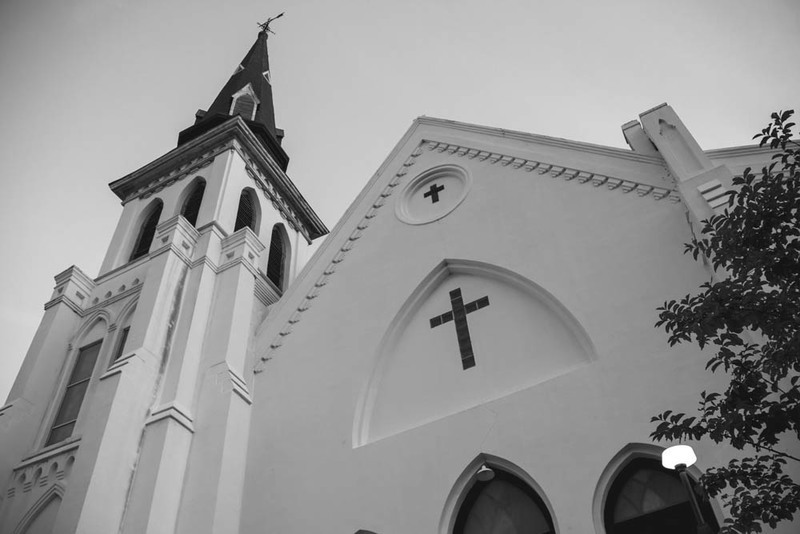 Mother Emanuel Church Steeple, photograph by Brandon Coffey, June 29, 2015, Charleston, South Carolina. "My Hope is Built on Nothing Less," written by Edward Mote, 1834. Opening hymn sung at the Morris Brown AME Church Community Prayer Vigil on June 18, 2015, the morning after the mass shooting at the Mother Emanuel Church.